Is there a better alternative to SerialPort X? Is SerialPort X really the best app in AppleScript category? Will SerialPort X work good on macOS 10.13.4? 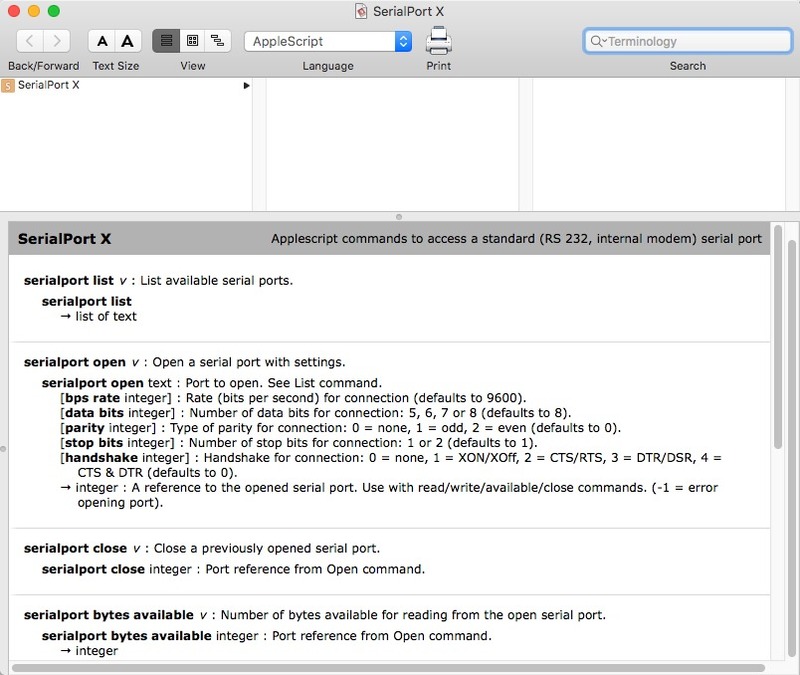 SerialPort X is a scripting addition that allows access to an internal modem or standard serial ports from AppleScript. Includes AppleScript examples and an Address Book plug-in to dial phone numbers via the internal modem. Commands: list, open, close, bytes available, read, write, status, toggle. Internal modem or serial port adapter (with OS X driver). SerialPort X needs a review. Be the first to review this app and get the discussion started! SerialPort X needs a rating. Be the first to rate this app and get the discussion started!